Illustration for the “Sicarios” comic book series issue #5, written by Roberto Corroto with art by Ertito Montana. 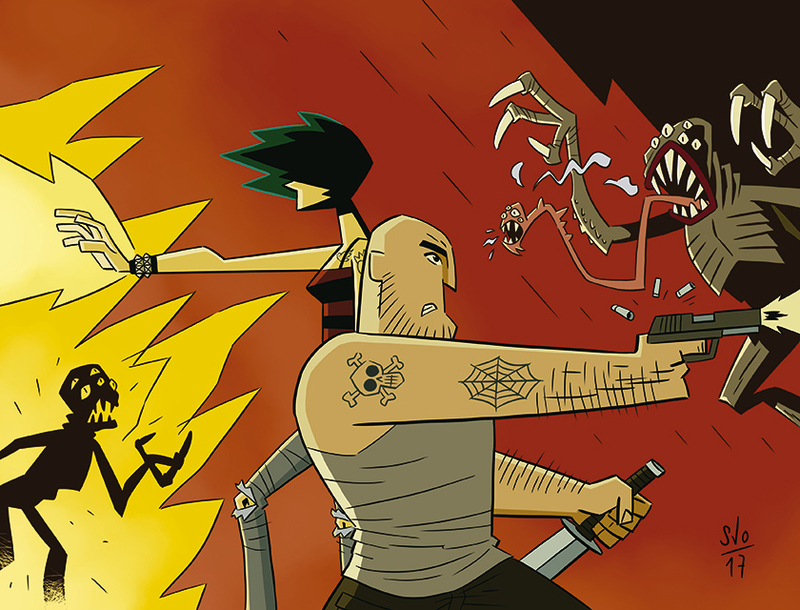 A comic book between Tarantino and Lovecraft published by Zona 00 Cómics. Tells the story of Phil and Riot, a couple outside the law involved weird situations.